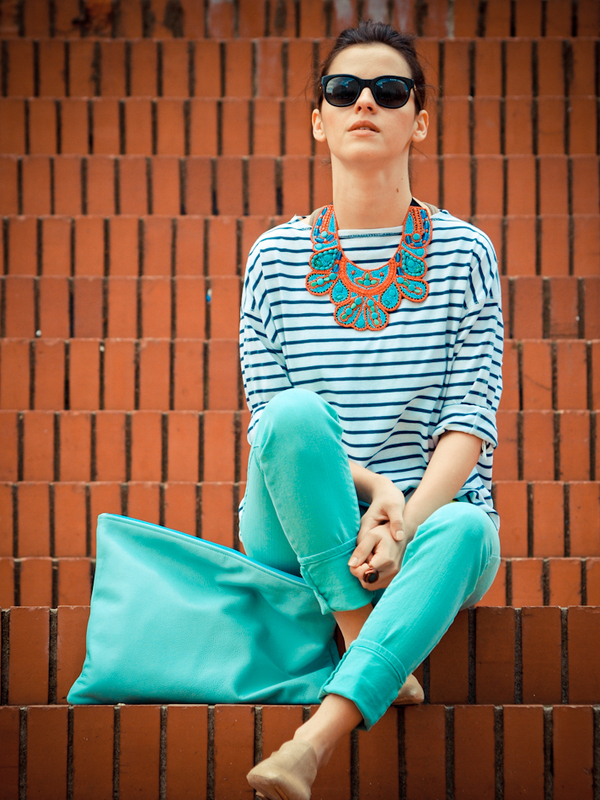 What amazing fresh colours….love especially the necklace, stunning! Kisses forom, TU VESTIDOR DE TENDENCIAS. So cute! I love the bright belt with the jeans. I love your style. Beautiful details, beautiful color and gorgeous clutch . :) You look amazing. Me gusta el outfit me has dado una idea, que justo esta mañana no sabia como combinar mis pantalones mint. La camiseta es azul y blanca no? o tambien es mint? You are the queen of colors :) love it! The clutch is fantastic! I really love the color. And you look amazing as always, Veronica! I’m in love with your gorgeous statement necklace and beautiful beige shoes! AMAZING!!! Love everything of this look! Gorgeous colours, love the necklace! As always, everything is perfect! Gorgeous color! Correct accents! And a wonderful necklace! As always I love it! I love this whole look, especially that necklace! 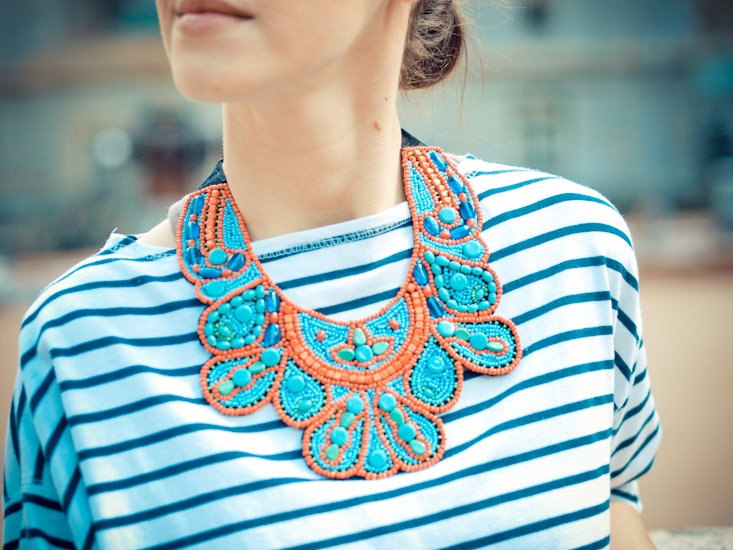 Love the collar necklace! Great colors! Looking great Veronica! The necklace is gorgeous and the pants so lovely combined!! love these colors dear!this necklace is adorable!! Stunning! 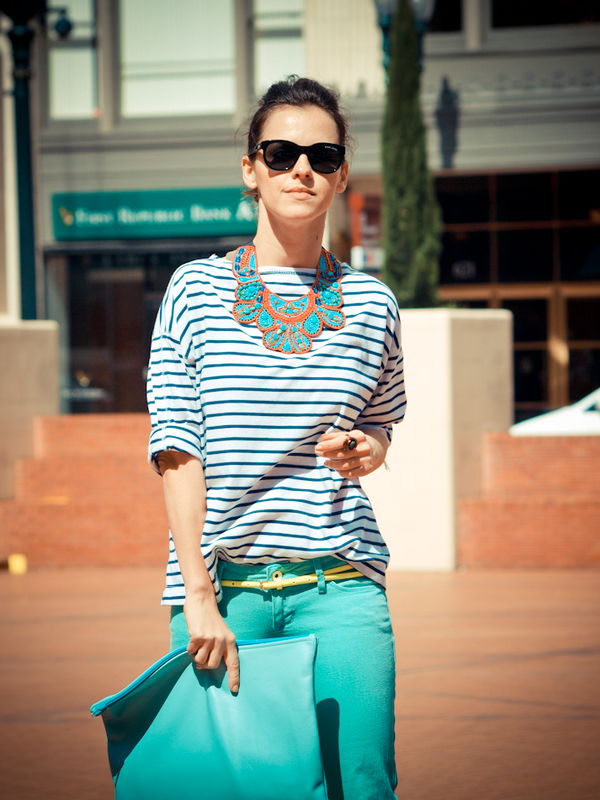 love your outfit, the colors and the accessories ! that necklace is just pérfect! that necklace is so, so good. and i adore the green pants too. ohhh, just gift ’em to me? xo. 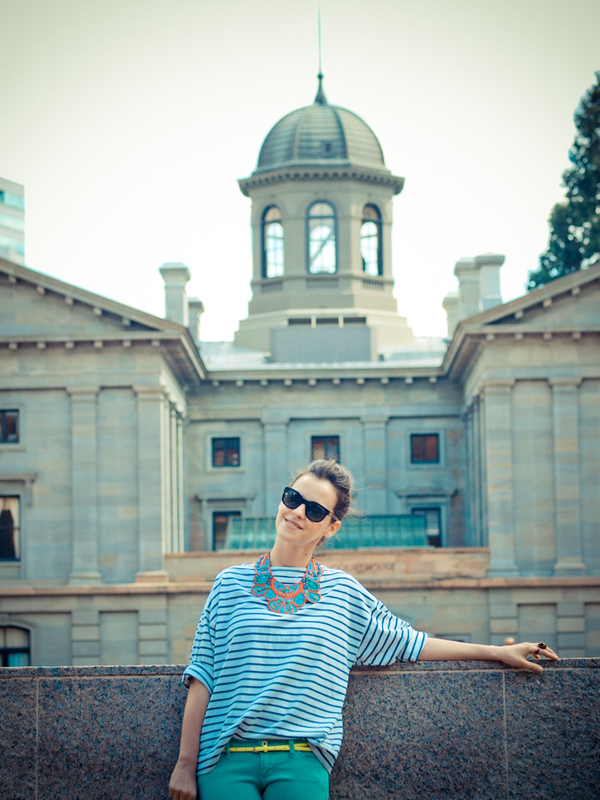 I love that necklace with the stripes! More purchases to come! :P we never stop shoppin anyway we go. Nice minty look with the minty bag…Niceee!! so nice to find such a matching bag color. love the look and mint color!! 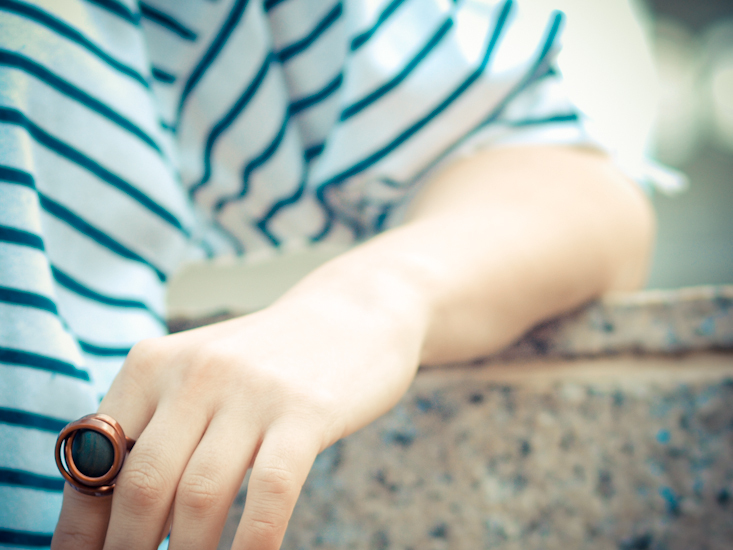 Mint and stripes, it’s a very nice combination. I love your blouse. Your necklace and belt are so lovely. Pure effortless and so casually elegant! Perfect as always! love it sweetie, great color combo, and that necklace is adorable! I love it! that yellow touch is perfect!! I wanna try it!! Seriously in love with your entire outfit! This is probably my fave look of yours so far!! That necklace and ring and amazing! Love the necklace!! I always love your beautiful bright outfits! Your simply gorgeous! I adore this look a lot! AMAZING I love your look!! You look absolutely beautiful dear Veronica! You’re gorgeous! I love your necklace! all I have to say is W O W!!! Nice colours and I really like your necklace! Your pictures are so beautiful that i wanna cry (tears of happiness) :) Amazing look as always! I use lightroom Ulia !